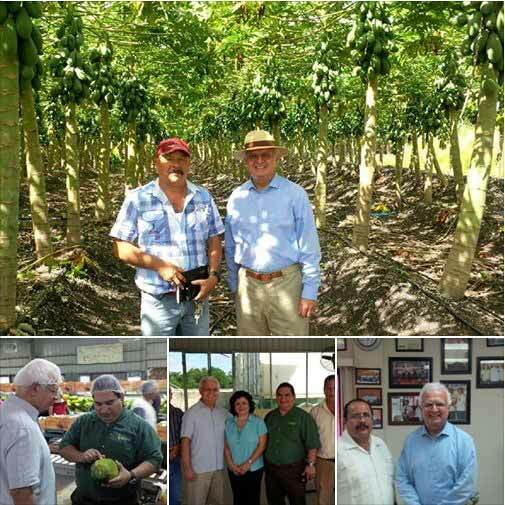 Ambassador Moreno visited the Corozal district! The Ambassador met with the General Manager of Fruta Bomba Limited, Mr. Gilbert Vivas, who facilitated a guided tour of the papaya plantations in San Joaquin Village. He also visited the Belize Fruit Packers in San Andres Village. In addition, Ambassador Moreno visited the Corozal Free Zone, where he met with Chairman, David Akierman. He also took the opportunity to tour local community and also meet with American Citizens living in Corozal.